ORONO, Maine — A retired longtime University of Maine history professor who is considered to have helped elevate the stature of the university as a research institution and was known as an unofficial UMaine historian, died Saturday in Bangor. David C. Smith, Bird & Bird professor emeritus of American history who spent nearly 25 years at UM before retiring in 1994, was 80. The Lewiston-born Smith’s studies and research were in the wide-ranging areas of U.S. agriculture and forest history, historic climatology, women’s history and the writer H.G. Wells. Smith’s research into the life and work of Wells gained the UMaine professor an international reputation, and he was known nationally at the time for his work in climate change, Segal said. His books about UMaine and the history of papermaking in Maine were seminal works, according to another longtime UM faculty member who worked closely with Smith. Smith was a member of the Faculty Five, who — along with George L. Jacobson Jr., Stephen A. Norton, Malcolm Hunter and George Markowsky — embarked on a campaign about 10 years ago to convince the Legislature of the importance of UMaine as a research institution. Borns said Smith was “a major mover and shaker” in the beginnings of what now is known as UMaine’s internationally regarded Climate Change Institute, which Borns founded 20 years ago. Smith and Borns were at work on a book about a medical doctor and naturalist in the 1860s who became interested in the Ice Age, Borns said Tuesday. Smith graduated from South Paris High School in 1947 and enlisted in the U.S. Navy in 1948, serving on the USS Coral Sea, according to an obituary submitted to the Bangor Daily News. He later graduated from Farmington State Teachers College, and earned master’s degrees in education and history and government from UM. Smith had a doctorate from Cornell University. Smith taught for five years at Hobart and William Smith College in Geneva, N.Y., before arriving at UM to teach. 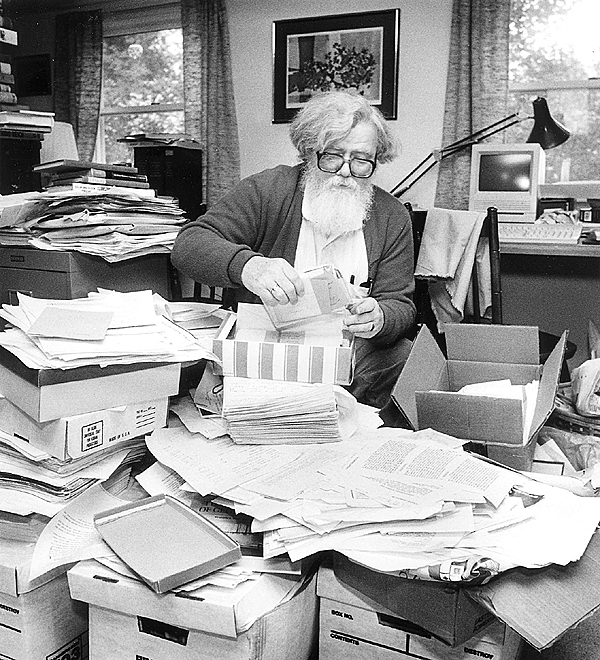 In his lifetime, according to the obituary, Smith gave more than 20 invited lectures at universities in Europe, Canada and the U.S., wrote or edited more than 30 books, and had more than 125 scholarly articles published. Smith also was active in community and politics, serving as a delegate to the 1974 and 1976 Democratic National Conventions, according to a press release from UMaine. Smith is survived by his wife of 56 years, Sylvia (White) Smith, a son, a daughter, a grandson and great-grandson. There will be a private family gathering in the spring.